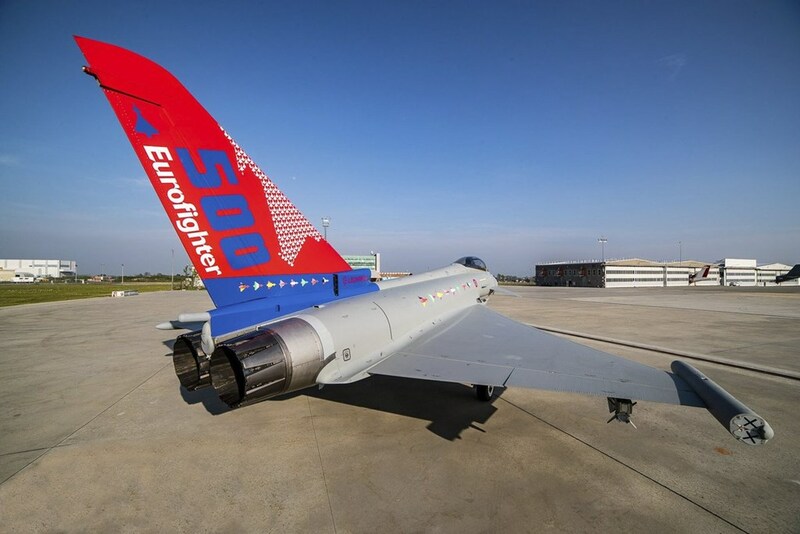 With 599 aircraft ordered, Eurofighter Typhoon is currently the largest collaborative industrial programme in Europe. The 500th-made Eurofighter Typhoon was delivered yesterday to the Italian Air Force during a special ceremony held at Leonardo Aircraft Division’s Turin site. Lt. Gen. Gabriele Salvestroni, Logistic Commander of the Italian Air Force, took delivery of the aircraft in the presence of Filippo Bagnato, Leonardo Aircraft Division’s Managing Director, Volker Paltzo, Chief Executive Officer of Eurofighter Jagdflugzeug, Peter Schmidt, Deputy General Manager of NETMA, and representatives from the Eurofighter partner nations and partner companies. The first Eurofighter was delivered to the UK Royal Air Force at the end of 2003. The 100th Eurofighter was delivered to the UK Royal Air Force in September 2006. The 200th aircraft was handed over to the German Air Force in November 2009. The 300th aircraft was delivered to the Spanish Air Force in October 2011, and the 400th to the German Air Force in December 2013. The aircraft has demonstrated, and continues to demonstrate, high reliability across the globe in all climates. It has been deployed on multiple occasions on Baltic Air Policing duties with the Spanish, German, Italian and UK air forces and has been combat proven during operations in Libya, Iraq and Syria. Through a series of continual enhancement steps, new capabilities are being added to the aircraft, with test and integration activity currently underway for advanced beyond visual range air-to-air missile Meteor, the precision guided cruise missile Storm Shadow and the precision attack missile Brimstone. The integration of these weapon systems will ensure Eurofighter Typhoon maintains its position as the most capable, agile and reliable swing-role fighter available on the international market today.